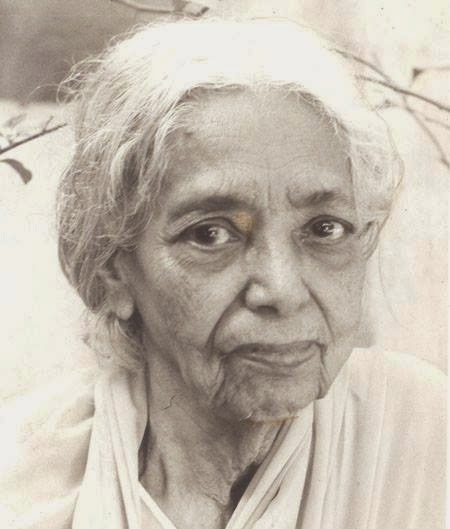 Janaki Ammal was born in 1897, in Tellichery, Kerala. After schooling in Tellichery, she moved to Madras where she obtained the bachelor's degree from Queen Mary's College, and an honours degree in botany from Presidency College in 1921. Under the influence of teachers at the Presidency College, Ammal acquired a passion for cytogenetics. Janaki Ammal is a name that evokes respect among botanists for her work in the fields of cytogenetics and geography. She collected plants of medicinal and economic importance from the rainforests of Kerala, and is renowned for her research on sugar cane and the eggplant. Janaki Ammal did her higher studies and research abroad, but returned to India in 1951 to reorganize the Botanical Survey of India. She worked for the Government of India in different positions in the Central Botanical Laboratory at Allahabad, the Regional Research Laboratory in Jammu, and the Bhabha Atomic Research Centre at Trombay, before settling down in Madras in November 1970 as an Emeritus Scientist at the Centre for Advanced Study in Botany, University of Madras. During her years abroad, Janaki Ammal did chromosome studies on a wide range of garden plants. She has been honoured with the Padma Shri award, and a national award of taxonomy in her name has been established. Ammal made several intergeneric hybrids: Saccharum x Zea, Saccharum x Erianthus, Saccharum x Imperata and Saccharum x Sorghum. Ammal’s pioneering work at the Institute on the cytogenetics of Saccharum officinarum (sugarcane) and interspecific and intergeneric hybrids involving sugarcane and related grass species and genera such as Bambusa (bamboo) is epochal. During the years (1939– 1950) she spent in England, she did chromosome studies of a wide range of garden plants. Her studies on chromosome numbers and ploidy in many cases threw light on the evolution of species and varieties. The Chromosome Atlas of Cultivated Plants which she wrote jointly with C. D. Darlington in 1945 was a compilation that incorporated much of her own work on many species. With her passion for plants, Janaki Ammal defined for herself her goals and purpose, and her mission in life. Having done that, she kept her mission above everything else, and was faithful to it all her life.